The highest concern that people have when they are using Remy tape-in hair extensions is that there will be residue left from the tape or damage to the hair. With our products, we offer top-of-the-line medical grade tape to insure the maximum efficacy with the minimal damage to the natural hair. 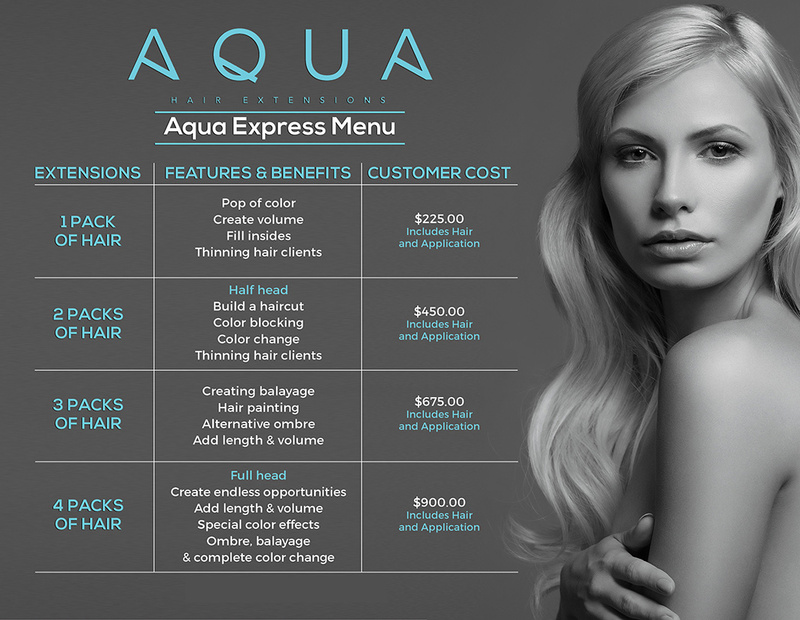 The AQUA Extensions Bar offers a unique opportunity to peruse AQUA hair colors. Our staff will consult with you and explain the process, time, and cost required to give your hair the length and style you’ve been waiting for! Mix and blend any colors to create your dream hair in 1 hour!